Muşat & Asociaţii is an acknowledged leading firm in the Real Estate & Construction practice, having advised an impressive portfolio of clients, including developers, retailers, investors, financial institutions and funds. In a resurgent real estate market, we have been advising on major deals and continue to undertake a high level of transactional work, which places our team in the “leading” tier position on the market. Our legal services are based on an excellent understanding of our clients’ needs and business and the highly-professional and result-oriented attitude of our lawyers has brought professional recognition from experienced and prestigious legal guides and publications. We continue to have a dynamic presence in the real estate market, while our Real Estate & Construction team has a high reputation and profile in providing a full range of legal services and assistance for national and international clients, including on the acquisition of land, forestry land, construction and maintenance, permitting aspects, residential, office and commercial projects, as well as mixed-use scheme developments and asset management work. Clients benefit from our significant experience in orchestrating complex, long-term projects that involve drafting documentation, facilitating negotiations, navigating legal and regulatory issues. Our team has successfully managed to create a prosperous conjunction of the Real Estate & Construction practice with other areas of practice, such as corporate and commercial, infrastructure, PPP, taxation. We also pride ourselves with our knowledge of international and internal financial mechanisms linked to real estate transactions, as well as security title ramifications related to property. A leading Spanish real estate developer in connection with various real estate developments in Bucharest and Cluj, with an investment value of over EUR 300,000,000, including with respect to pre-closing and post-closing documentation, as well as permitting aspects. An international holding and investment company based in Israel in connection with the EUR 78,000,000 acquisition of the remaining quota in one of the biggest real estate projects in Bucharest, consisting of a shopping mall and five stand-alone office buildings, with an investment value of approx. EUR 300,000,000. The Europe’s leading savings bank and Spain’s third largest financial institution in relation to financing various multimillion real estate acquisition and development projects in Romania, totaling over EUR 200,000,000. The Real Estate Development Division of a global financial institution of Dutch origin in relation to various real estate residential and mixed-use scheme developments in Romania, exceeding EUR 250,000,000, including advice on a variety of partnerships with private and public entities and the concession legal regime. A Romanian development company affiliated to a leading European financial services groups (a French financial group) in connection with the development of a large multi-use real estate project in Bucharest, entered into with, the second bank in terms of banking assets in Romania. The project includes the headquarters of the bank and seven skyscrapers, the total value of the investment being of over EUR 100,000,000. The largest Italian energy producer in connection with the envisaged transfer of its interests held in a number of Romanian companies. Our legal assistance included an extensive due diligence report focused on real estate and regulatory aspects, including the review of ownership titles over real estate assets. One of the largest logistics companies in Romania for the purpose of obtaining a title insurance over the logistic center erected in Hunedoara county and the land underneath. The world leader in the construction and maintenance of infrastructure for transport, urban development and recreational facilities, with regard to renegotiating and restructuring two FIDIC agreements concluded with the Romanian National Company for Motorways and National Roads, totaling over EUR 190,000,000. The Romanian subsidiary of a leading German car manufacturer in connection with the implementation of a project consisting in the development of a manufacturing plant, the overall project amounting to EUR 270,000,000. A Greek-owned investment group with regard to the development of the largest shopping center in Bucharest, the total value of the investment exceeding EUR 300,000,000. A leading full-service commercial banking institution based in Korea in connection with various legal issues pertaining to financing five photovoltaic projects located in three different regions of Romania, including an assessment on complex legal issues in the real estate field. A major Australian mining company in connection with the privatization of the state-owned company with the biggest copper reserves in Romania. Our involvement consisted of conducting a comprehensive due diligence exercise entailing the analysis of complex documentation attesting to the ownership and the administration rights. The Romanian branch of a leading international express and mail delivery services company in connection with the establishment of its main headquarters in Platinum Business and Convention Center. The mandate included an extensive legal due diligence with respect to the legal status of the premises envisaged to be leased by the client. The local subsidiary of one of the largest power and utility company in Europe with respect to the legal status of the use and easement rights granted in favour of the distribution operator under current energy legislation. Our mandate included an extensive analysis on the general legal regime applicable to use and easement rights, as opposed to the one provided under energy legislation, the registration formalities, inconveniences arising in practice, potential risks and related remedies. A Romanian subsidiary of leading international company engaged in the exploration, development and production of crude oil and natural gas in selected areas of the world, in relation to multiple land acquisitions in the Black Sea region, meant to support its drilling activity in the area. 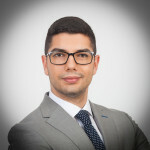 One of the former producers of electricity and heat in Romania with an extensive analysis of the real estate assets and relevant liabilities, while our mandate involved reviewing numerous ownership titles for lands, as well as strategic buildings and ancillary constructions. Italy’s largest power distribution company in the process of evaluating the current status of over 350 land plots used by its Romanian subsidiaries and the title related to these lands. An important Italian investor with the process of establishing a partnership with the National Agency for Dwellings (ANL) in its two main programs meant to help individuals lacking funds or collaterals to buy a house. The multimillion project involved a back-to-back transaction and an in-depth due diligence process on the assets pertaining to the property (land plots, finalized buildings, constructions still in progress, etc). A private equity real estate investment management company acting as a key player on the Central and South Eastern European property market, with the purpose of reviewing their portfolio of lease agreements related to several retail projects owned by the client. A leading company owning and operating agricultural land in Central and Eastern Europe with respect to its acquisitions of various agricultural lands in Romania, in total amount of over EUR 13,000,000. 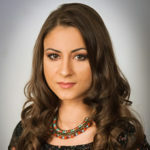 A reputed Belgian developer in connection with the acquisition of participations in two Romanian entities meant to develop two high-profile residential projects in Bucharest and Arad, amounting to EUR 235,000,000. One of the top Romanian retailers in connection with the implementation and development of various retail projects in Romania. One of the major Austrian private banks with regard to EUR 12,000,000 term loan facility granted in view of the refinance of the acquisition, renovation and refurbishment of a large office building located in Bucharest. Our assistance pertained to all aspects regarding the transaction, mainly focusing on a broad range of real estate and construction related matters. A group of UK investors in connection with the acquisition of a 1,200,000 sqm land plot and the (pending) development of a EUR 200,000,000 Residential Park, one of the largest residential projects to date in Romania. The subsidiary of one of UK’s largest fluoropolymer processors and global suppliers of PTFE during the expansion of its business activity in Romania, and on the subsequent acquisition of real estate intended to extend its current location. Our work included both analysis of the ownership title and assistance during the purchase transaction, as well as advising the client on obtaining financing for such operations. A major Portuguese company for various real estate and fiscal matters in connection with the implementation of a large-scale wind power project in Romania. One of the largest developers in Europe in relation with certain real estate projects, with a total value of over EUR 100,000,000. Legal assistance includes an extensive due diligence report in respect of the target projects, as well as advising and assisting our client on the strategy to be followed and during the process of getting control of the projects. A Romanian investment company, part of the French group developing an important chain of shopping centers in connection with the development of two shopping centers in Pitesti and Galati, projects with a value of over EUR 160,000,000. 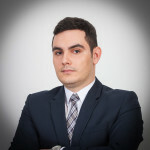 A chain of shopping centers in connection with the sale of the two malls located in Pitesti and Galati to one of the leading real estate investors in Romania, in a transaction valued at EUR 150,000,000. A leading Austrian listed property company and one of the leading real estate investors in Romania, in connection with a project consisting in the developing of a large office and residential project totaling over EUR 130,000,000. One of the largest funds in Europe in relation to the acquisition of the largest hotel group in Romania and several other private companies in Romania, amounting to over EUR 100,000,000. A major Belgian real estate developer in connection with the development and sale of various office buildings located in Bucharest, with a value exceeding EUR 100,000,000. A group of E.U. real estate investors in connection with the sale of a 26,000 sqm land plot in (downtown) Bucharest to the Romanian subsidiary of a major real estate development company established in Israel, for the development of a EUR 80,000,000 real estate residential and commercial project. The real estate division of one of the most significant players in the global insurance and financial products market and a leading listed Austrian property company in connection with the EUR 33,000,000 acquisition of Bucharest Business Center. An UK based real estate investor in relation to the acquisition of a shopping center in Bucharest, for a total transaction value of EUR 26,500,000. A Romanian investment company, in connection with the development of a EUR 25,000,000 shopping center, in Ramnicu-Valcea. A subsidiary of an international holding and investment company based in Israel in respect of the EUR 18,000,000 acquisitions of four hotels in the center of Bucharest. 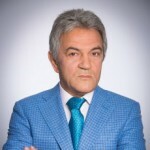 A major real estate developer, in connection with the acquisition of a hotel situated on one of the main Bucharest boulevards. The shareholder of the developer of one of the largest logistic centers in the country, for land acquisition matters and the conclusion of title insurance. The Romanian subsidiary of a top global company in parcels distribution in connection with an important real estate acquisition and the development of its operational centers near Otopeni airport. A leading real estate developer in relation to various legal matters concerning the operation of two of the most important shopping centers in Bucharest. A subsidiary of a global leader in consulting, technology and outsourcing services in the relocation of its offices to the Iasi Municipality. One of the world’s largest clothing retailers during its international expansion. Our advice referred to a diverse range of legal aspects arising out of the long term lease agreements concluded by the fashion retailer with various landlords countrywide, and included revision of contractual terms and negotiation of lease conditions. The Romanian subsidiary of a worldwide leading health care company in relation to the establishment of its headquarters and operating offices in Romania, including the preparation of necessary documents and the lease agreements concluded by the company. A leading company owning, operating and developing shopping centers in Central and Eastern Europe in real estate issues referring to the dispute between the company and an important Austrian lender. The Romanian subsidiary of the leading Turkish poultry producer. Our mandate included an extensive analysis of the ownership chain and encumbrances created over the property, also having in view the applicable legislation for the acquisition of property during an insolvency procedure. A British multinational oil and gas company which controls the homonym natural gas field in Azerbaijan, in connection with various legal matters arising from the development of the Nabucco West gas pipeline, as well as in relation to specific infrastructure-related issues deriving from the development of the project. The consortium designed to prepare the initial public offering (IPO) for the sale of 105% of one of the most important players in the distribution, electric power supply and energetic services sectors in Romania. Among other legal services, our mandate also included the performance of a due diligence exercise focused on the ownership right over the lands used by Electrica’s subsidiaries. 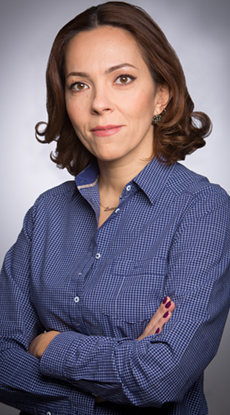 One of the leading Romanian broadcasters in the process of an extensive assessment of its assets and on-going contracts. A publicly traded American multinational agrochemical and agricultural biotechnology corporation, in relation to the major restructuring process of its group subsidiaries. Highly Recommended by Legal 500 and Chambers Europe in real estate & construction.